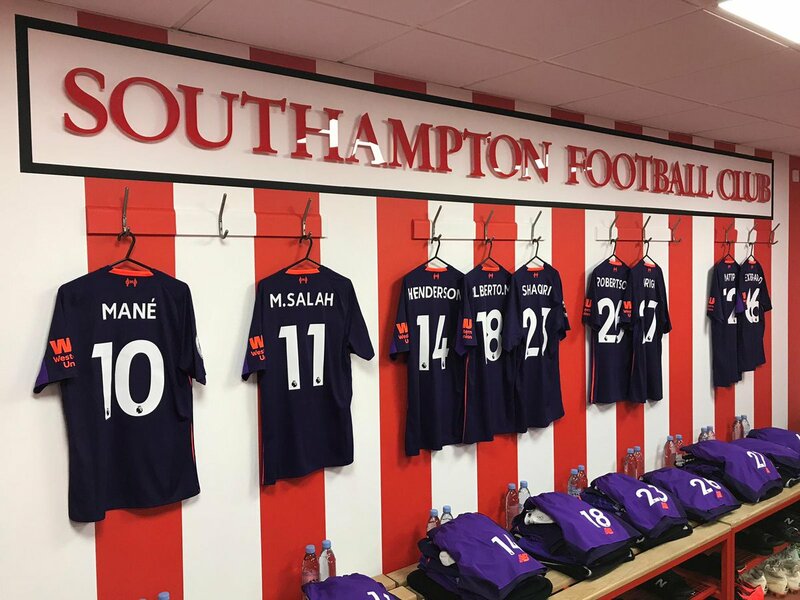 Starting XI: Alisson, Alexander-Arnold, Matip, Van Dijk, Robertson, Fabinho, Wijnaldum, Keita, Mane, Salah, Firmino. Subs: Mignolet, Lovren, Milner, Henderson, Moreno, Shaqiri, Origi. 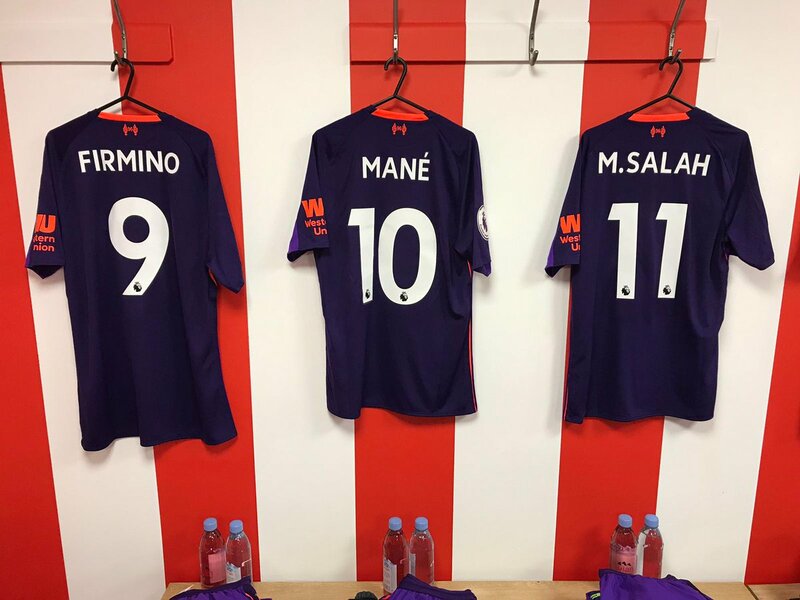 Liverpool make two changes for this evening’s Premier League clash with Southampton at St Mary’s. 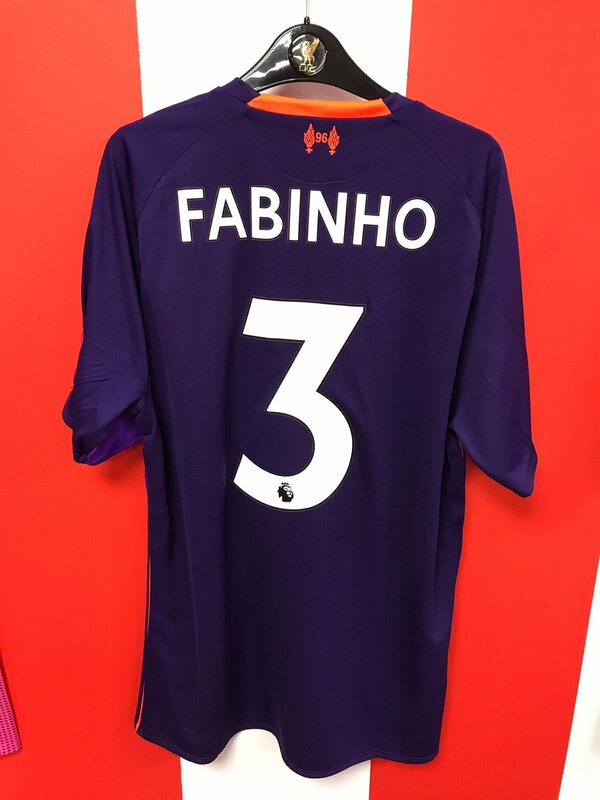 Fabinho and Naby Keita return in midfield, taking the places of James Milner and Jordan Henderson, who are on the bench. 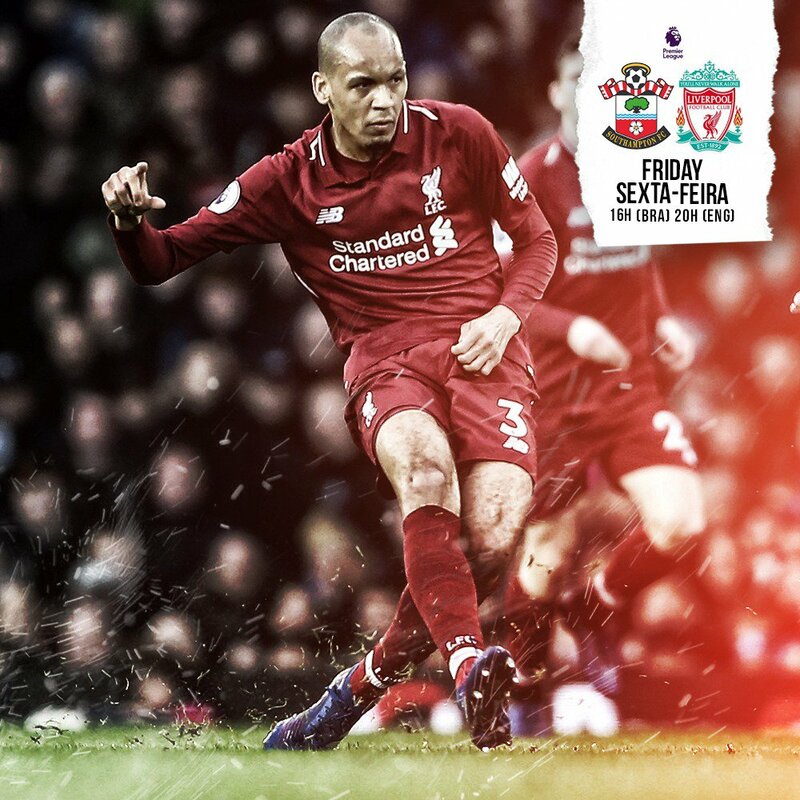 Gini, Keira & Fabinho midfield is my long term option and the way forward! I've went 3-1 to us in the predictions league. Klopp on team selection: “just bringing in fresh legs, adapting to the opponent, adapting to the intensity of our game." Chuffed to bits with that lineup!! Mrs just gone out, beer poured, Thai red curry coming out the oven. Life is perfect! Come on you fookin Redmen!!!!!!!!!! Well it happened and I'm actually really surprised. 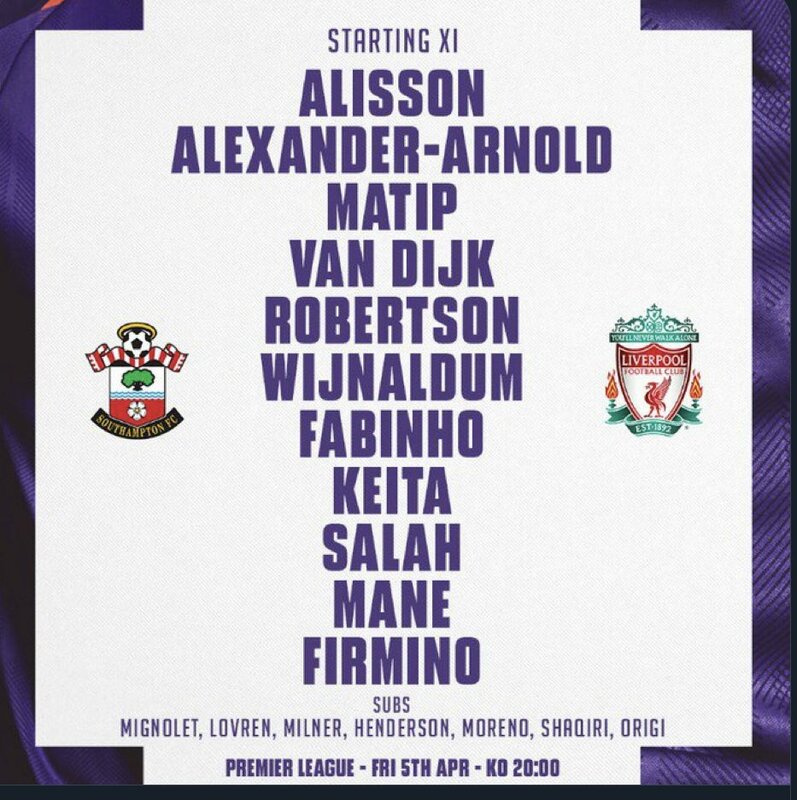 I was hoping for a midfield of Fab, Gini and Keita but I really didn't think it would happen. It's the midfield that I think a large number of people have been wanting to see recently, obviously myself included, hopefully now it's finally happened it will work out. Interested to see who occupies towards the left, I'm guessing it will be Keita but I think we'd get more out of his game if Gini moves to the left a bit, he seems quite adaptable to anywhere in the midfield...unless Gini will sit deeper and it be Fab and Keita slightly forward. Oliver Bond keeping up his fine run of getting absolutely nothing right. We need Fab and to some degree Gini to sit tight. They are a combative side in the middle. COYR!!! A win is all that we need, any way and means. Please God we need to win and help us a little bit with blueshit too. Happy with the lineup. 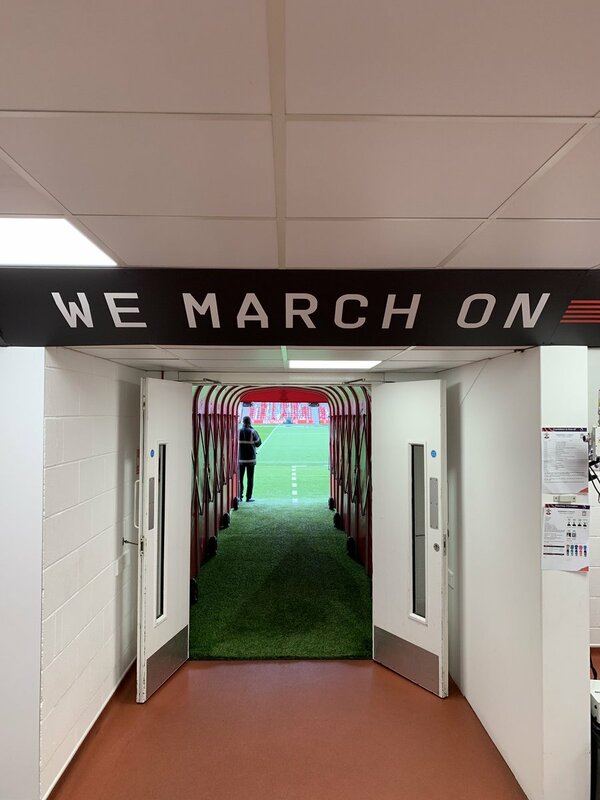 Can’t wait to see the redmen batter the tw*ts. 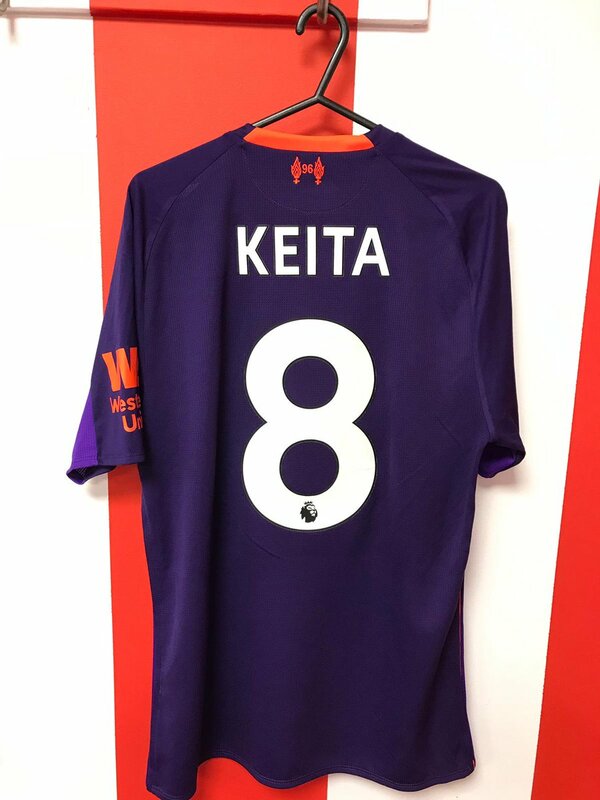 Big game for Keita! Come on lad! Expecting a tough game tonight. This game would have been sh*t loads easier if Mark Hughes was still the manager. Guessing Lallana is injured for Keita to start but here's hoping he has a good game and gets a good run in the side. He showed so much promise that hasn't materialised as yet.... 3-1 to us is my guess with Salah to get a much needed goal. No complaints with that line up. Bigish call with Nabby coming in. 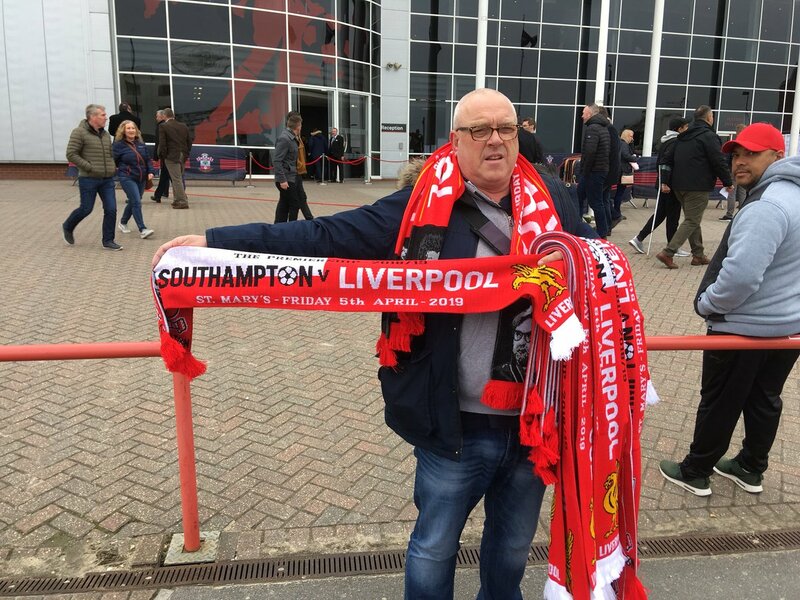 I was a bit worried Nabby wouldn't get in.Think Lallana picking up a knock has given Nabby the chance. Got the edged on Shaqiri. Good positive lineup. Would have liked Lallana but seems he's injured. Want to see more of Keita anyway, so still happy with that. Gonna be a tough game. He is a bit of Jürgen clone in his style of play - let's come out of the blocks with the old intensity. Hopefully the game where Mo finds his shooting boots as well. Think this'll be a good game. COYR! Any news of Adams injury? Is it that thigh that has been bothering him again? 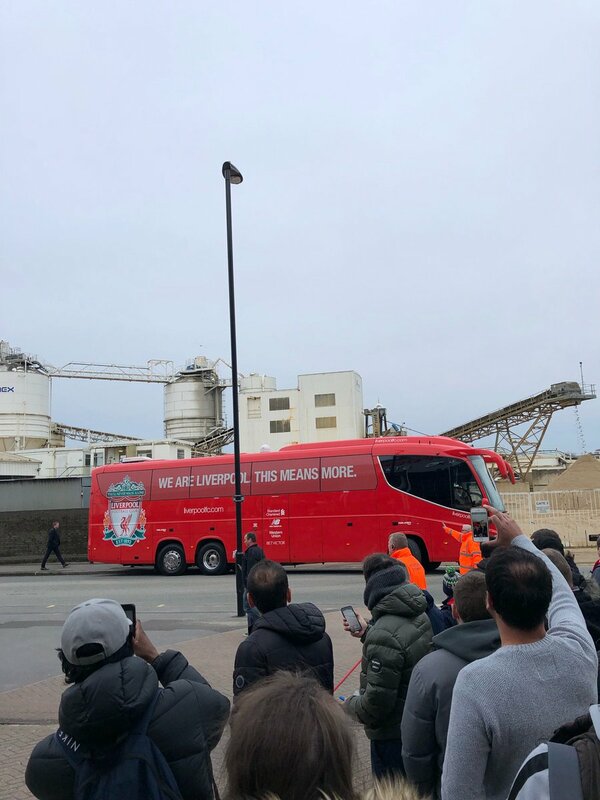 Nabby just need a blinder to kick start his time here.I'm sure there's a player in there and Klopp is the man to coax that player out. Love to see Nabby score a couple tonight. 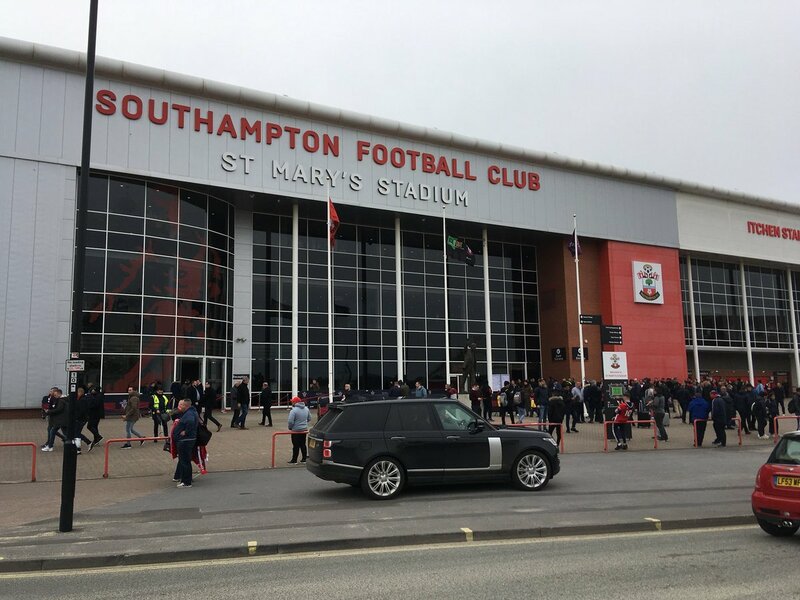 Dodgy f**king disco stuff at St Mary’s - embarrassing.